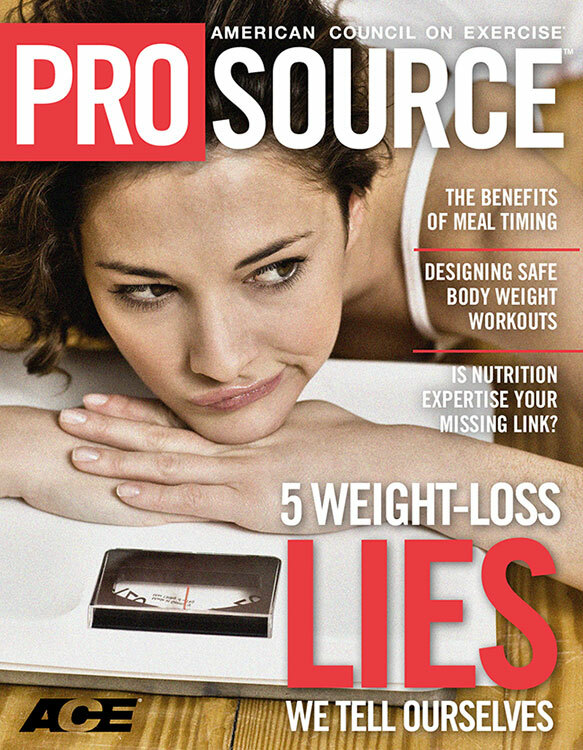 ACE - ProSource™: September 2013 - Is Your Exercise Selection Helping or Hurting Your Clients? Is Your Exercise Selection Helping or Hurting Your Clients? There is no such thing as a bad exercise—only bad application. These words, once spoken by Steven Fleck, have remained in the forefront of the mind of ACE Master Trainer Garret Stangel, M.A. throughout his personal-training career. “That saying has caused me to look at exercise choices with an analytical eye on both the potential pros and cons,” says Stangel, who is an ACE-certified Personal Trainer and ACSM Health Fitness Specialist based out of Milwaukee, Wis. While proper execution of any movement is of the utmost importance, in a never-ending sea of exercise options—often one more creative than the next—all moves are certainly not created equal. 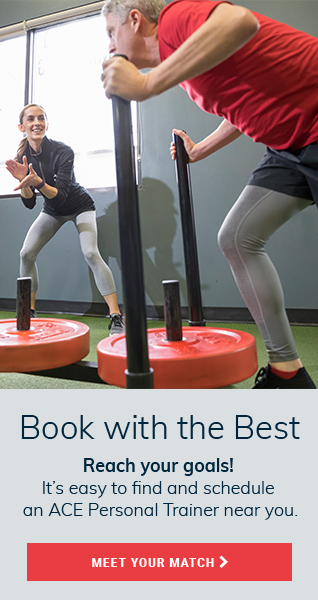 From selectorized equipment that restricts natural range of motion to exercises that fail to provide functional benefits for clients, it’s important that fitness professionals take a closer look at the potential benefits and risks associated with commonly performed exercises, working to identify safer, more effective movement options that best serve each individual client. Several of the fitness industry’s top personal trainers and movement experts share which exercises they feel should be reconsidered based on an understanding of how the human body is designed to move, and suggest more effective exercise options that ensure client safety remains priority number one. Why: While squats serve as an integral component of any training program, the Smith machine fails to allow for a functionally sound movement to occur, according to Steve Cotter, international fitness presenter and founder and president of the International Kettlebell Fitness Federation. “Not only does the fixed plane of motion decrease the recruitment of important muscles required to maintain a stable core, it also restricts natural range of motion and prevents the hips and spine from properly flexing during the movement,” says Cotter. Why: From preventing rotator cuff injuries to working with clients post-rehab, rehabilitative exercises once only seen in physical-therapy settings have made their way into the gym, but not everything has its place on the fitness floor. Anthony Carey, M.A., C.S.C.S., CEO and founder of Function First, believes that internal and external rotation of the glenohumeral joint—an exercise most commonly performed either side-lying using a free weight or standing using a cable or tubing—should be limited to the early phases of shoulder rehab and, when carried over into the gym, these movements can be counterproductive to normal shoulder function. Why: For clients focused on muscle hypertrophy, the leg press machine is often a go-to option for building up the quadriceps. However, this machine fails to fully integrate what should be a hip extension—driven movement, says international fitness educator Dan McDonogh. “The leg press, due to the nature of being confined in the machine, does not allow for the movement of triple flexion/extension at the ankles, knees and hips—and because the hips cannot go into full extension as the weight is pressed up (because the hips are essentially locked into the back pad and seat), little-to-no glute activation happens at the top of the movement,” adds McDonogh, who oversees Group Training and Development for TRX. More Effective Alternative: For a more functional move that focuses on joint stability and mobility along with core-integrated movement, McDonogh recommends the body-weight squat, as it provides many more benefits beyond just increasing muscle size. 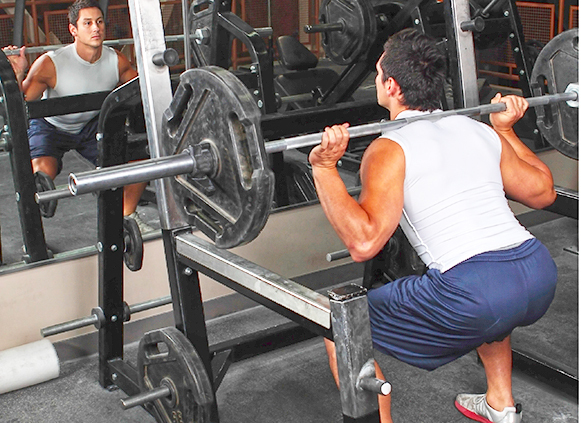 In fact, individuals who perform squats long-term tend to have tighter, stronger knee ligaments than those who opt not to squat, according to research from Auburn University. Why: Frequently considered for clients looking to add size and build strong shoulders and traps, the barbell upright row exercise causes internal rotation of the arms and protraction of the scapula, a combination that can create shoulder impingement by restricting the space around the collarbone, says Cotter. More Effective Alternatives: To safely and effective target the traps, Cotter recommends having clients perform shrugs using a heavy set of dumbbells or kettlebells for a better way to build strength given that individuals can better handle the heavier loads. For the deltoids, Cotter suggests incorporating a heavy shoulder press into the training mix with either a barbell or kettlebell. He argues that this movement is safer for loading the deltoids because the weight is distributed across the back, lats and triceps, along with the shoulders. Why: Even though most fitness professionals know spot reduction is not possible, many clients can still be seen taking a seat on the abductor machine on their quest for thinner thighs. Not only does this exercise not miraculously melt fat, it doesn’t actually work the outer thigh muscles, according to ACE Senior Consultant Chris McGrath, M.S., founder of Movement First in New York City. Why: While the days of high school physical education are long behind most of us, somehow the highly questionable exercise commonly referred to as the partner leg throw still lives on in the gym. This exercise, which pits the upper-body pushing power of the trainer against the stopping ability of the client’s abs, is not a fair fight, according to Jonathan Ross, ACE Senior Consultant and Master Trainer. Ultimately, explains Ross, the abs will lose and the more powerful hip flexors will have to kick in. To safely and effective target the traps, one fitness pro recommends _______ as a better way to build strength given that individuals can better handle the heavier loads. Fitness pro Jonathan Ross recommends _______ as a safer, more alternative to the partner leg throw that also targets the same muscles.